Holiday photos abound in my family. 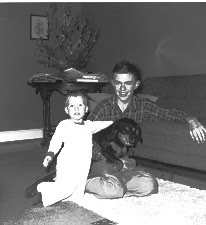 The one below is special to me because it was taken at Christmas of 1954. Some Kodak photos from that time were printed on a very high-gloss paper and the colors tend to turn red over time. 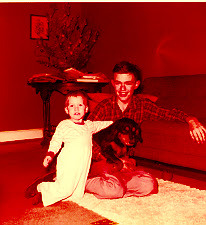 I selected this vintage photo and realized that the red was going to be tough to refine. I displayed the image in the 9-up viewer, changed the setting from color to B&W, and chose what I thought was the best image. A quick adjustment of brightness and contrast gave me this great result below. Yes, that's me on the left at my second Christmas, my older brother, Carey, on the right at age 14, and our wonderful dog, Suzie. Suzie was a year older than me but quickly became my dog and lived to the age of 13. My great-grandmother, Caroline Alice Whitefield, was born on 23 August 1853 and died on 26 June 1917. She married my great-grandfather Rainey Baines Morgan on 19 November 1871 in Person County, North Carolina, and they produced three sons between 1879 and 1883. Rainey, unfortunately, contracted an infection and died on 13 September 1891.Caroline exercised her legal dower right to the property and lived there until she remarried Thomas Jehu Carter in late 1893. At that time she was forced to relinquish her dower right to the property and it went into trust for the three sons until they reached the age of majority. She later produced another son with Mr. Carter. The photo of Caroline below was taken circa 1914-1915. I had always wanted to see a clearer image of her. I used RESTORE to provide a better image. There was a simple view of the 9-up display and I selected the clearest image. 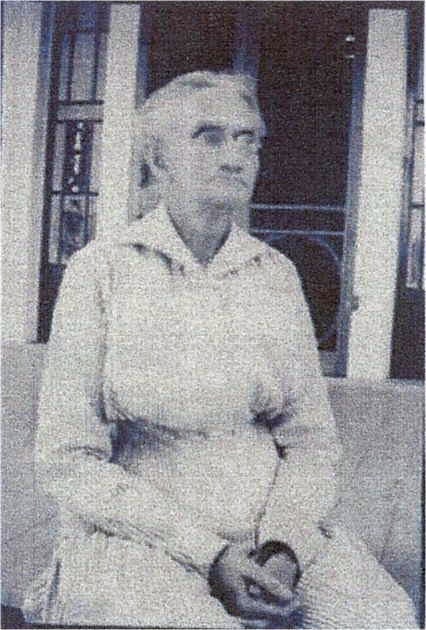 Not only do I now have a better picture of her, I can now see distinct facial resemblances between Caroline and all three of her sons, the oldest of whom was my grandfather, Samuel Goodloe Morgan. I can also see some details of the double screen door and window sidelights of the entrance of her home at the time. I spend a lot of time researching in newspaper databases. I also use the digital microfilm scanners at libraries and archives to capture newspaper content onto flash drives, email images to myself, and/or save images to Dropbox. 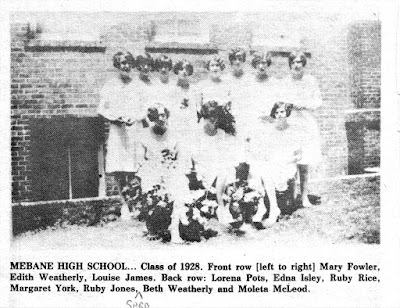 Several years ago I came across a newspaper photograph of the Class of 1928 at Mebane High School in Mebane, North Carolina, on microfilm. 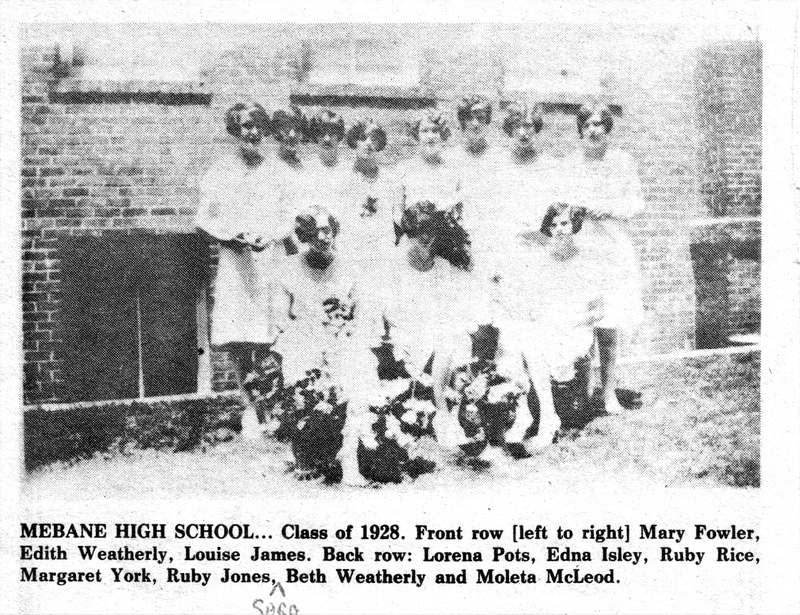 My mother, Edith Weatherly, and her older sister, Beth Weatherly, graduated in that same class. Both sisters appear in this photograph as you'll see from the caption. My mother had a tattered copy of this clipping among her mementoes and so I was pleased to find this image. RESTORE does an excellent job with working with documents, and newspapers are no exception. I processed this image and chose the clearest from the 9-up display. I then converted it from color to B&W and slightly adjusted the contrast to reduce the graininess of the newsprint. The result is a great piece of historical context for both sisters. My mother's maiden name was Weatherly, and I have invested a great deal of time researching both my direct antecedents in that line, the siblings, and the collateral lines. When my mother's last sibling, a sister, died in 2000, I inherited a wealth of family treasures. Needless to say, there were boxes of photographs - some labelled and some unlabelled. I've spent a lot of time trying to identify the subjects. 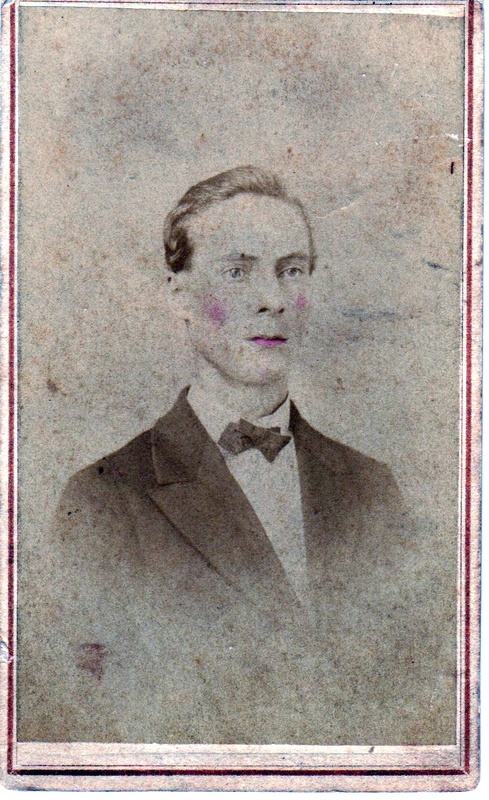 Fortunately, however, the small photo mounted on a photographer's card from Selma, Alabama, shown below was labeled. 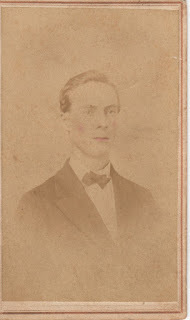 The man is my great-grandfather, Alvis Martin Weatherly, born on 5 November 1852 in Madison, Talladega County, Alabama, and died on 3 July 1919 in Rome, Floyd County, Georgia. 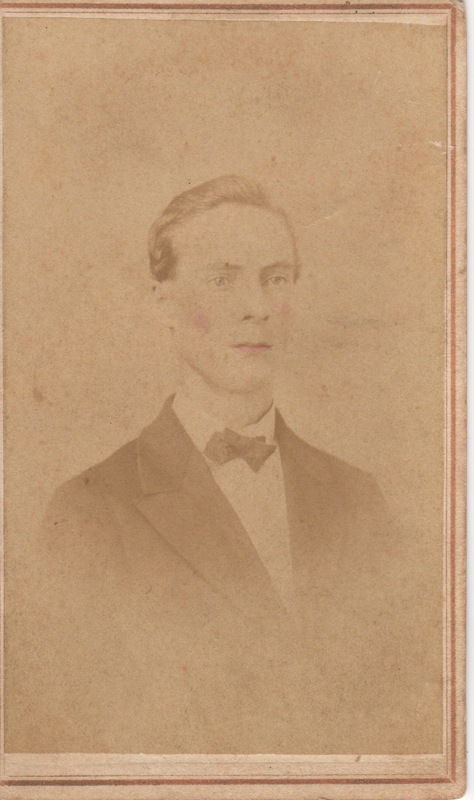 I can only estimate the year the photo was taken at present, and my thoughts are that it dates from the 1870s when he was in his early 20s. RESTORE worked its magic on this photograph, and it preserved and enhanced the hand-tinting of the red in his cheeks. 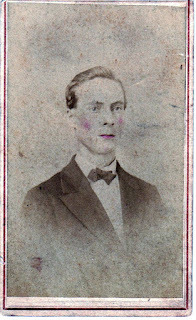 He was my mother's father's father and worked for what became the Southern Railroad. He also filed two successful patents: one for a specific fence design and one for an innovative railroad air brake. While I have been researching this great-grandfather for decades and have heard stories from the family, for the first time this evening I have a clear image of him. 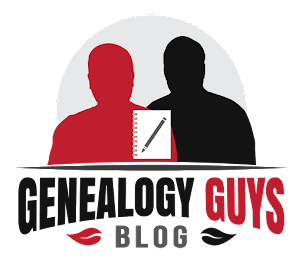 I'm still learning how to use the VIVID-PIX RESTORE software more effectively, I am eager to use it to improve clarity and legibility of old, faded documents, and poor quality digital document images I encounter at online websites and download. I can see many, many fascinating hours of work ahead of me. What do you think you could do with RESTORE for your photographs and document images? I think you would enjoy using the free trial for yourself.